No Place Like Home Health would like to recognize the following employees for their hard work and dedication to our family of clients and caregivers. 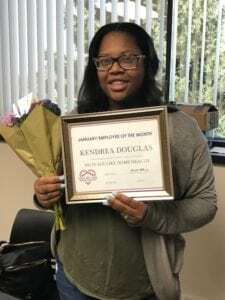 Kendrea has been with our company since November of 2017. She has been in the healthcare field for almost 8 years and is looking to become an RN. She says that she loves working with the company, they are very welcoming and dependable. Loves the teamwork. 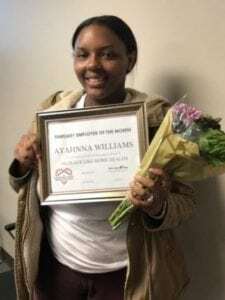 Ayahnna started in December of 2017 but has been in the healthcare field for two years. She is currently enrolled in school to become a social worker and will graduate next year. 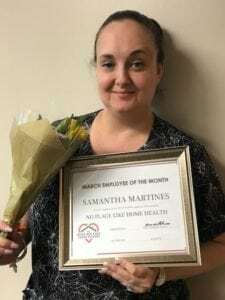 Samantha began with No Place Like Home Health in January of this year. She has been in the healthcare field for over 10 years. Working before in management, Samantha was named our Human Resources Director in March and also assists with client assessments. Brianca was with us only for a short time but really blessed us with the time she spent on our team. 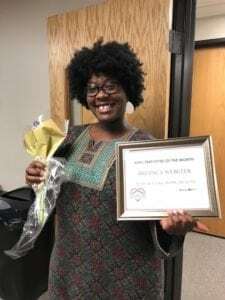 Starting in February she really was a team player and helped improved our clients lives each day. Sadly she recently left due to a family emergency. We wish her the best in the future. April – Kierra B. and Denice B. May – LeKesha C., Vanessa L, Linda P. and Brianna S.
“Thank-yous” go out to all team members of No Place Like Home Health! No Place Like Home Health, LLC – Call (734) 259-4200.